While still a wonderful ambient experience, there is a very different feel to Autumn’s Apple that can be traced to Darshan Ambient composer Michael Allison’s love of soul records he collected as a child. That and a very distinct chill-out lounge flavor of the album give this release a fascinating meld of soul-groove and ambient electronica. Autumn’s Apple is a dedication to family, children and love of tradition. 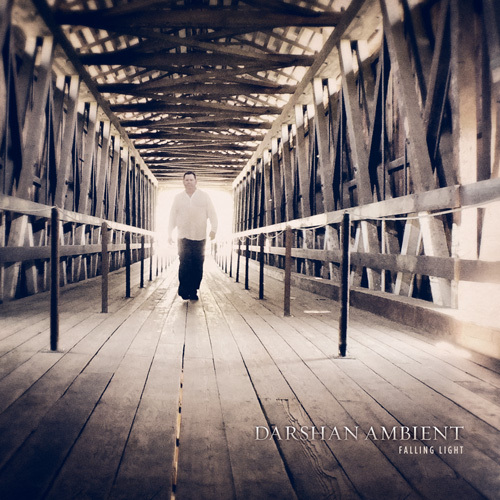 After a substantial string of critically praised minimal pastoral ambient recordings, Darshan Ambient (a.k.a. Michael Allison) has taken a surprising but delightful (and successful) left turn into glitch and electronica territory. In retrospect, it makes sense that the artist's superb floating soundscapes could be integrated with contemporary beats, but I would never have guessed that a) the man himself, as opposed to a remix DJ, could do such a great job at it, and b) the amalgamation could sound so seamless, almost as if previous releases (such as The Zen Master's Diary, Providence, and Autumn Light) were intended as mere precursors to this particular effort. Fans of those previous albums will still hear lots of what endeared them to Allison, i.e. muted bell tones, sparse reverbed/echoed piano, keyboard textures and flowing lush synth strings and washes, so don't expect a drastic departure in that regard. However, the way Allison layers in his beats is a wondrous (and welcome) evolution of the Darshan Ambient sound. Sometimes the rhythms emerge in phases, as on the opening ‘azure day’ where they start out as subtle percolating skitch and bass beats, but morph into a more intense pulsing pumping variety (but still not overpowering the smooth melodicism of the track). ‘azure day’ (which runs on a little too long at thirteen and a half minutes) has that steady momentum and flowing sense of movement that conjures up a vision of speeding down the German autobahn at night, or maybe better yet, cruising down Route 66 (the real one, two-lane blacktop style) through the southwest as the sun goes down. ‘deep garden’ brings to mind something entirely different, as reverbed Fender Rhodes piano and trap kit rhythms with an undercurrent of haunting synth chords make me think of moody deserted city streets, rain-slicked and aglow with reflected neon light at 3 am. ‘pastorale’ is a rhythm-less track, sounding as if it could have come from a previous release. It's fine, but placed third on the album, I think it tends to derail the groove-oriented momentum which has been building so far (better to place it last, perhaps). However, immediately afterwards is what may be the best song on the CD, ‘acre of sun,’ a perfect combination of glitch, snare, and cymbal beats with haunting deeply reverbed piano and bell tones that shimmer with such beauty as to be chill-inducing. The later addition of subtle ethnic percussion loops brings to mind Richard Bone! Smart move, that! More surprises alight with ‘sea stars for tristen’ which mixes flowing liquid electronic textures with laptop (!) beats and scratches, then folds in echoed electric piano and strings, painting the track in sunset tones of deep pink, golden orange, and soft violet. ‘rain parade’ allows the beats (bass and cymbals) to hold center stage at the outset, joined by drum and bass elements, before mysterious reverbed piano coalesces with darkish noir soundscapes. ‘pebble in my shoe’ steers back to a more optimistic tone. Once again, Allison combines ethnic hand drums loops with minimal piano and flowing synth washes (and yes, once again, this reminds me of Richard Bone, circa Tales from the Incantina or Ascensionism). Things get a tad frenetic later with some other rhythmic elements that don't quite fit as well as I'd imagine the artist intended, but they don't mar the basic appeal of the song. The title track displays Allison's penchant for the English/European chill-out genre, based on the midtempo rhythms married to the smooth electronic textures and mellow piano. The evolution of the beats on this track (unlike the previous cut) make a lot of sense, as cymbal and snare are added to the more overt electronic variety later in the selection. If there is a misstep on the album, besides the placement of ‘pastorale’ as the third song, it's including a vocal track, ‘man in the window.’ The backing music on the piece fits well enough with the rest of the recording, but the vocals simply don't work for me. Allison's voice resembles Peter Gabriel's (almost eerily so at times) and, granted, his voice is not present for the first half of the four minute song, but it just doesn't work for me. 'nuff said, no sense going into detail. I would imagine the artist's reasons for including the song are deeply personal, so more power to him. My dislike for the track is more a matter of taste (I've never thought Gabriel had the best voice either). Disregarding the few criticisms I have, autumn's apple is a brilliant recording and demonstrates what an artist can do when he changes course but retains his core musical vision. It certainly ranks as one of the better glitch/electronica releases of last year. I only hope Michael Allison continues down this path for awhile, because he has certifiable talent in the subgenre. I highly recommend the disc, even with my few nits as noted above. With the release of ‘Autumn's Apple’ on the Lotuspike label, Darshan Ambient have created an engaging collection of tunes well suited for cool lounges and mornings after the night before. It's a fine example of chilled elegance and it's fast become one of my favourite releases of the year. From start to finish, ‘Autumn's Apple’ is a delight both sonically and emotionally. One can't help but be drawn into it's charms. 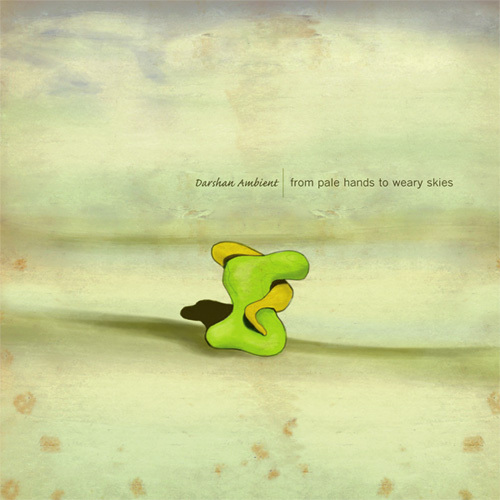 From the gradual build of pads and tones that blend together to create a slow melody underscored by cool beatz in opener ‘Azure Day’, through the elegant grooves of ‘Rain Parade’ where revolving chimes interplay with minimal piano, to the closing track ‘Man in the Window’ which employs wooden percussion and vocals offset by a descending progression. Tones ebb and flow throughout the soundfield, musical phrases loop in and around themselves to create a latticework of woven beauty, and melodies both simple and complex play throughout the disc in a delicate yet groovy way while oblique motion plays underneath it all. Everything is all so carefully planned, so intricately crafted, so intimately related. It's all truly blissful. I love an album that fits in nicely with the slow sort of waking that comes on Sunday mornings, the kind of waking where you drift in and out of reality, one foot each in the dream- and material-worlds. ‘Autumn's Apple’ is a perfect disc for that kind of duality, a perfect disc to straddle that kind of consciousness.